Absolutely the best massage therapy we have ever received. Outstanding service and treatment. Worth every cent. We didn’t want the session to end. 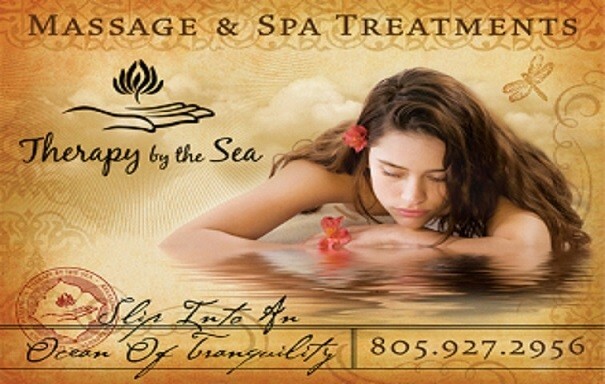 J.B.
At THERAPY BY THE SEA our goal is to ensure your visit is extra special. We cater to helping you create sessions of total pampering, in a comfortable and healing setting, that is rarely found elsewhere. The BOOK NOW button on each page, within our website, will take you directly to our reservation calendar. The FEATURED SPECIALS category is the automatic page this button will take you to. From there, in the left hand column, you will find the other categories we offer. The online booking system has a 5 hour window block on short notice booking, to ensure we do not miss appointments. If you are wanting to schedule with less than 5 hours notice, please call us directly to see if we can still get you in. If wanting to make your visit extra special, check out our ADD ONS and PACKAGE ADDITIONS. We have separated these out so they can be reserved in any manner that works for you. We were finding many wanted to pick up their GIFT BAGS and other packages, like our DINNER & WINE TASTING, before their actual sessions or they wanted us to call them back, to place a special order, at specific times. Now you can reserve the best time you would like to do this as well! Please keep in mind, if you are wanting specific services, even for duets sessions, each therapist needs to be scheduled separately. The reservation system will show the availability of each therapist at any given date and time. If our system has two therapists available, you can also make your reservation under of Custom Duet option. Just let us know in the comment section what each of you are wanting and we will contact you to confirm. If you are just wanting to check availability to see when therapists are available, within the reservation system, click the orange BOOK NOW button, and then on a service with each therapist. From there you can back and forth on the days you want to check. This is especially helpful if you are looking to see when two therapists will be available at the same time. IMPORTANT!!! DO NOT click on any of the specific times on the dates you are looking at. If you do, the system will temporarily block out that time slot for approximately 15 minutes while it waits for you to complete your reservation. If a therapist is not showing they are available on a date and time you are needing, feel free to call us to see if we might be able to still accommodate your needs. With enough notice, sometimes our therapists can rework their schedules some to get you in. Our reservation system will now let you book up to 3 services, for each person, in a single reservation. The system will automatically stack the sessions in the order that you pick them. The reservation system will also gives you the opportunity to make special requests. This will be found on the bottom of your contact information page. This is especially helpful if you wish to let us know if you are wanting to book a duet session in our duet suite, need our handicap accessible suite, wish to modify a service or package additions with your session, want to combine multiple services into one session or have any other questions or concerns with your reservation. FEATURED SPECIALS: Package specials that already include a number of our services combined into one pampering session. INTRODUCTORY SPECIALS: These are services our therapists are offering at a discounted rate for a limited time. GIFT CERTIFICATES: This where you can purchase a gift certificate online. DUET SESSION – 1 CMT: These are our mini and focus sessions for couples that are scheduled, back to back, with just one therapist. For such sessions, we actually encourage the use of only one therapist, for while one person is relaxing with ur heat packs, the therapist will be working with the other. It turns what would feel like a short session and extends into a much more relaxing longer time out. CUSTOM DUET – 2 CMTs: Here you can make your reservation under our CUSTOM DUET – 2 CMTs option. When picking this option, you can tell us in the comments exactly what you are wanting to schedule. We will contact you to confirm your session is exactly what you are looking for. BABY MAKES THREE: Babymoon Duet sessions designed just for parents to be. PRE-NATAL: These sessions are our basic massage adjusted for mother’s to be. Since it is a side lying massage, it can also be reserved for those who can not lay face down. SWEDISH MASSAGE: This is the basic massage that most people are familiar with. It can be done as a stand alone session or you can incorporate any of our add on services listed below, such as Stones, Compresses, Deep Tissue, Special Oils, or one of Specialized Sets designed to make each session extra special. DEEP TISSUE: These are services that can be integrated into your requested session. When making a request for duration of time, the deep tissue you will be requesting to be part of the regular session you are ordering. We suggest you order 30 mins less time in deep tissue than the duration of your session to allow for warming up. NO OIL BODYWORK: These are bodywork and healing sessions offered by our therapists that do not require the use of oil and can be done fully clothed. This includes Reiki, Breema Bodywork, Acupressure, Shiatsu and can include other modalities that each therapists is specifically trained in. SEATED MASSAGE: Often called chair massage, this massage is done fully clothed in a specially designed chair. SELF SERVICE: These services that can be reserved as stand alone sessions, or added onto a longer session, where you have access to our self massage tools & LED color light mask. FACE MASSAGE: Rejuvenating massage just for the face, using various methods, including Face Reflexology. FOOT SOAKS: Hydrotherapy for the feet, these foot baths incorporate hot and cool bath. INFRARED WRAP: Add heat therapy to your session with a specially designed blanket using the fat burning and health enhancing qualities of Infrared. HERBAL STEAM TENT: Add moist therapy to your session with a personal herbal steam tent done in the manner of traditional Thai sessions. ADD ON – IN TANDEM (4 HAND): These are where you can specifically reserve one of our 4 hand, two therapist, per person sessions. These sessions provide extra relaxation in a shorter amount of time. ADD ON – BUDDHA BLISS: This is a set that includes a favorite mix of our most popular services: Deep Tissue, Hot Towel Compresses, Heated Stones, Analgesic Oils & Reflexology. ADD ON – COMPRESSES & STONES: These are sets designed for ultimate relaxation using both our hot towel compresses and heated stones. ADD ON – COMPRESSES: These are compress sets with towels designed to warm up the body to increase blood flow and induce deeper relaxation. Good for general location warming. ADD ON – STONES: These are stone sets designed to warm up the body to increase blood flow and induce deeper relaxation. Good for working out specific and localized tight areas, as well offering a very grounding experience. ADD ON – SPECIAL OILS: Special oils blended just for you. Includes Aromatherapy, Mineralized Oils and Healing Herbal Infused Oils. ADD ON – LUCIA EXPERIENCE BAG: Using the scent of your choice, these are Lucia Apothecary sets that will be used during your session. All products are issued in full sized containers. When the session is done, all remaining product is placed in a gift bag for you to take home and continue to enjoy. PACKAGE ADDITIONS: These are non massage services that can be added to a session to make is extra special, such as gift baskets, refreshment options and dinner coupons. Our delivery option for these, when added to a gift certificate, can be found here as well. To schedule, you will need a credit card to verify and hold your reservation. It is recommended you have the card ready when making your reservation. Unless prior arrangements have been made, any gratuities you wish to include are done at the time of service. All gratuities go to each therapist and can either be added to the bill or paid directly to them. If this reservation is intended as a gift for someone else, and you wish to make other payment arrangements, please let us know in advance. An automatic confirmation email will be sent to you upon the successful completion of your reservation. When you make an appointment, we reserve that time exclusively for you. If you must cancel your appointment, please notify us at least 24 hours before your scheduled time, to avoid being charged. All no shows, and cancellations with less than 24 hour notice, are charged 100% of the service.